PBS America has launched an on-demand service for users of the Amazon Channels service in the UK. 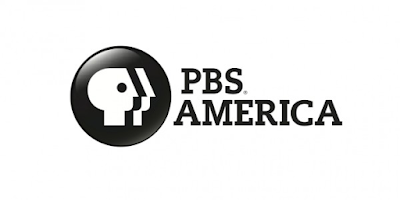 The new, ad-free service from PBS America offers Amazon Prime members the chance to enjoy a wide spectrum of in-depth science, history and current affairs programming on demand. Highlights include Ken Burns’s multi-award winning The Civil War – still the most watched TV series ever on American public television – and the Oscar-nominated feature documentary, Last Days in Vietnam, from American Experience. Legendary filmmaker Ken Burns’s back catalogue of award-winning historical films will be available as part of the PBS America On Demand channel, including Prohibition, The Roosevelts: An Intimate History and The Dust Bowl, alongside other PBS documentaries, all accessible for the first time via the Amazon Prime Video app to watch anytime, anywhere on smart TVs, iOs and Android mobile devices, Amazon Fire TV, Fire TV Stick, and Fire tablets and games consoles and through the web. “We’re thrilled to be launching PBS America On Demand into the exciting OTT arena with Amazon Channels here in the UK. There are a lot of viewers out there without access to Freesat, Virgin or Sky who will now be able cherry-pick the best of the PBS America offerings to watch at their leisure. The online channel will include Ken Burns’s impressive back catalogue, which we expect will attract new fans after his latest epic The Vietnam War airs on BBC4 in a few weeks time."